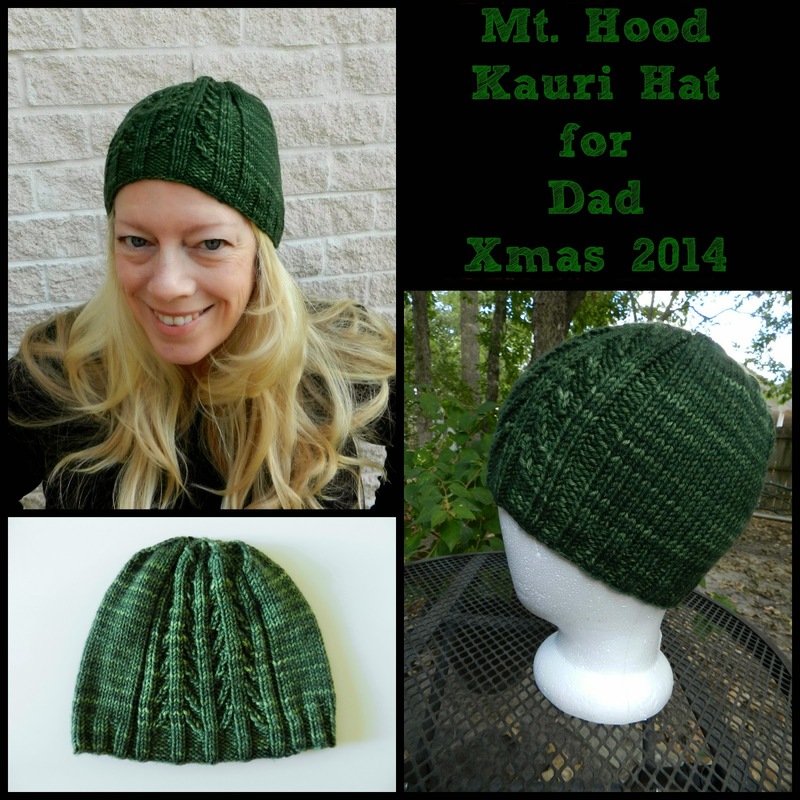 I chose this pattern, Kauri, because the trees reminded me of the area where my parents live. The yarn is Madelinetosh DK - colorway is Moorland. I like that it has some visual interest, without being too fussy, for a man's hat. This hat was a challenge for me, from casting on only three stitches and doing increases to create the mountain, then casting on an additional 61 stitches to complete the brim, and then making the bobbles near the top of the hat (where the decreases start). Plus I hand-stitched the "snow" outline on the mountain. I like how it turned out! Pattern is Mt. Hood Snow Cap, yarn is Madelinetosh Vintage - colorway is Betty Draper's Blues. Our "third" child, Kevin, requested a hat. 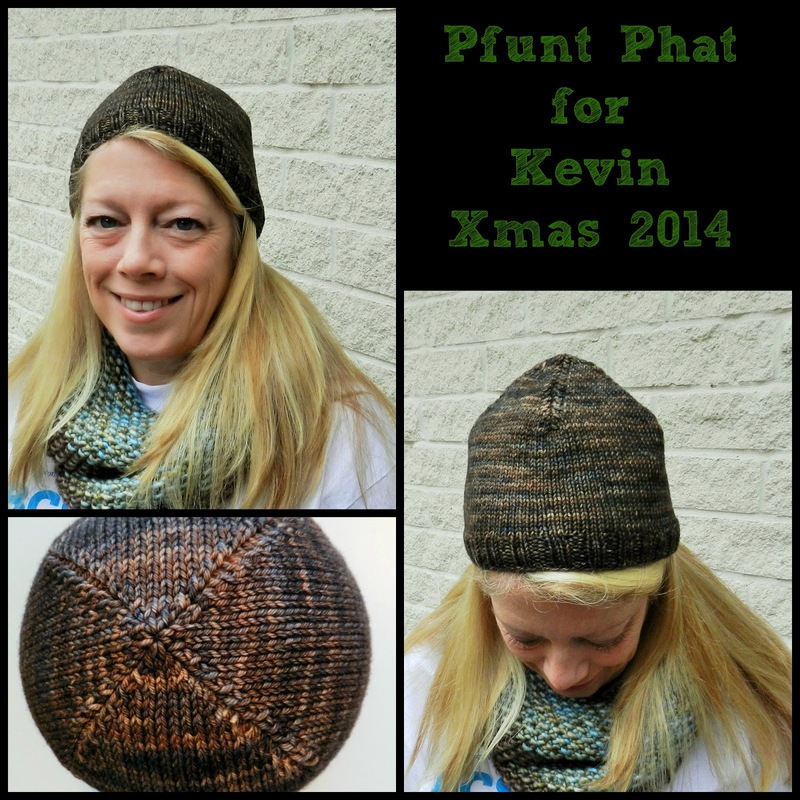 He wanted a plain hat, so I made Turn A Square, which is a very popular pattern, but I'd never knitted it before. Well, I can see why it's so popular - it was really easy to follow, and the decreases were fun - you can see that it makes a square on top! Yarn is Madelinetosh DK, colorway is Whiskey Barrel. 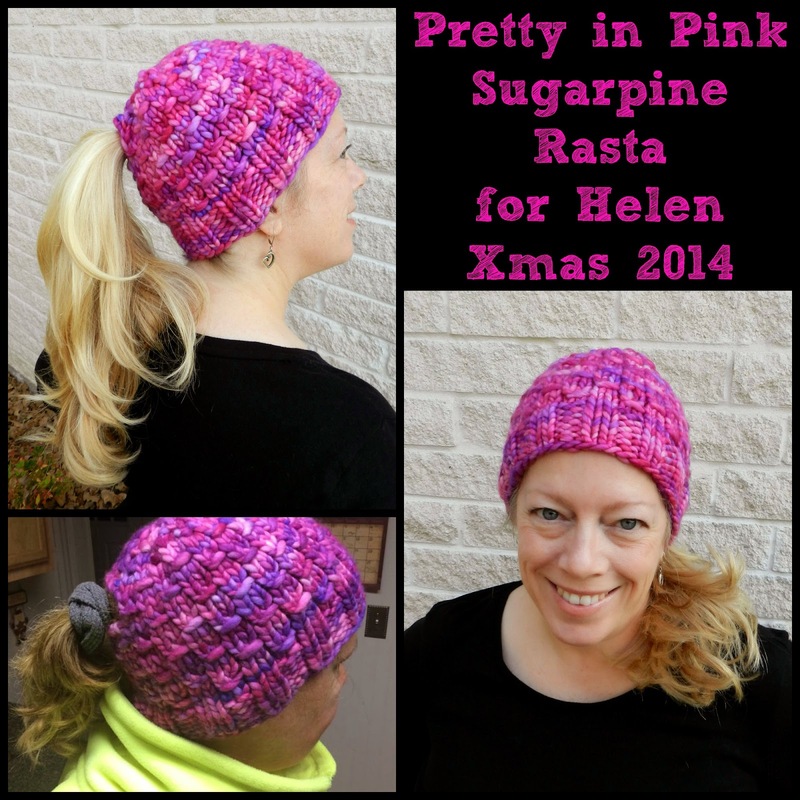 Ahhh, my favorite hat to make - the Sugar Pine Rasta. I planned on making Helen one for quite a while, but couldn't get my hands on the right color of yarn for her - she is a pink person through and through. I finally found it in Salt Lake City, when I was there in March. I customized it with a hole for her ponytail. The hat will definitely help keep her warm while she runs this winter! Yarn is Malabrigo Rasta, colorway is Baya Electrica. 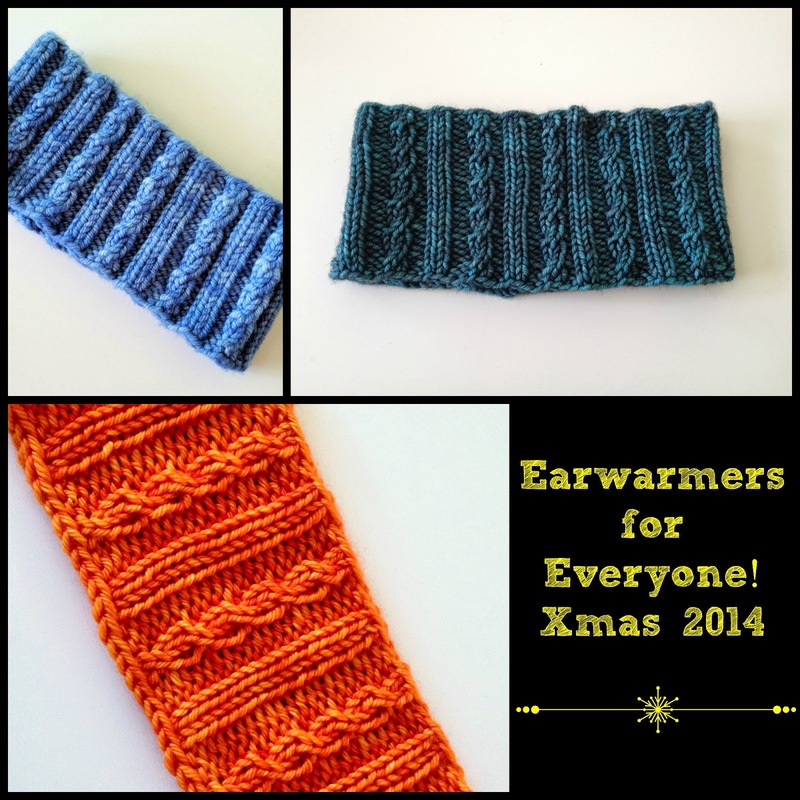 I went on an earwarmer-making jag - these are just a few of what I made...I was giving them away almost as fast as I was making them! I like these because I can usually make one out of leftover hat yarn, and they are nice to wear when you don't want to squish down your hair with a hat. Plus I kept one for myself and lately I've been wearing it after I finish running - keeps me toasty warm! Pattern is called Earwarmer on Ravelry, yarn is Madelinetosh. We have our last long run of the season tomorrow - 7 miles - before the Houston half marathon on the 18th. I'm looking forward to a bit of a redemption run, to make up for how the 11 miler went last week. And yesterday, Cary and I ran 2.5 miles when the temperature was 23 degrees, with a north wind that made it feel like 14 degrees. Yikes! Honestly, it wasn't that bad - I layered up really well, and the only thing that bothered me was (no surprise) my hands. Even with two pairs of gloves, my fingers were FROZEN for the first mile. 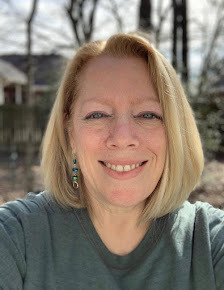 I have one running shirt that works for this kind of cold weather, and I've worn it every run for the last couple of weeks, with lots of washing in between. Each winter I think I don't need much in the way of cold-weather gear, but each winter, I end up wearing the same thing over and over. Good thing our winter season is relatively short here in Texas, I guess. I LOVE my Sugar Pine Rasta hat and feel so honored to have received it! Besides the color (ADORE!) my favorite thing is that my head never gets too warm. As you know it has been brutally cold with windchills here so I've been running on the mill a lot this week and yep, still wearing the hat! It's perfect! I like all your knitted projects they came out lovely. Thanks for naming the patterns. Good luck on your last long run tomorrow you got this you are a strong trained athlete! I wish you sold your hats and earwarmers. I love my hat you made me last year! Wow! This is just part one of your knitting? I like them all. I especially like the color Whiskey Barrel--don't know why, but it just intrigues me. Also, I really like the little cables in the ear warmers. Have fun and stay warm on your run tomorrow! The Whiskey Barrel colorway is really pretty in person. I have enough leftovers to make a striped Turn a Square hat with that and the green from my Dad's hat - excited to see that one, as I think the colors will be so pretty together! I love your creations especially the pony tail hat. Love your knitted gifts, Shelley! 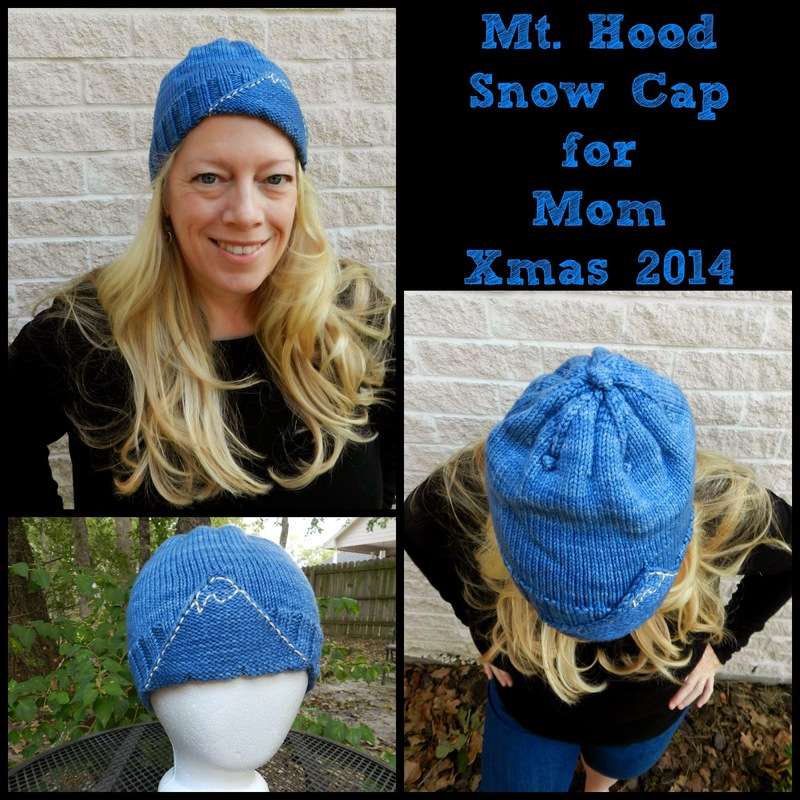 Especially the hats for your mom & dad - the trees and snowy mountain look like the great PacNW. I know some of the patterns are difficult, but you make them look like they were so easy. And I hear what you mean about cold weather gear. There was a stretch there where we entered races just to get the long-sleeved tech shirts to layer with for winter. I'm up to 4 of them, and they get a heavy rotation between December and March. I keep thinking about lined tights, but just haven't been able to fork out the $$ those things are going for, so it's knee-length under regular long tights for now. You are a master knitter! I LOVE the hat with the ponytail hole. I was going to say pony hole, but that just sounded wrong!!! Have a great weekend Shelley! And a good run! You are so talented! I think I would panic if I tried to make that many gifts for the holidays. I did beaded ornaments one year and had to start in September! LOL. Thank you - I enjoyed making everything. I love all your knitting projects!! Stay warm! You made lovely gifts for everything. It's so great to see how you went from a starting knitter to a really talented one. Hope the run yesterday went good and it wasn't too cold.